Straightforward life advice but also extremely powerful. Nothing can stop you if you just keep putting one foot in front of the other and barreling forward towards your goals. To demonstrate the power of this mantra, Keep On Keeping On’s president, and all around awesome guy, Tim Wambach decided he would spend 40 days running 1,000 miles from Orlando, Florida to Chicago, Illinois…twice. Throughout these two attempts it is fair to say that Tim faced major adversity. Fatigue, blisters, rain, humidity, extreme heat (running in a Florida August and September will do that), blisters, decision fatigue, and did we mention…blisters??? And how he overcame these obstacles is nothing short of inspiring! Along with the 40 day endurance challenge, in this episode Tim explains why and how he founded Keep On Keeping On and the formation of his two man show “Handicap This!” He also talks about how befriending his speaking partner Mike Berkson, a funny and bright person living with cerebral palsy opened his eyes to the challenges faced by those living with severe disabilities. Tim is a tremendous role model of why we should just jump right in when pursuing a goal and I was so honored to have him on the podcast to share his story. Thanks again for listening! Have a great holiday season and keep striving to make the world a better place! 4:29 am- Yes!! I’m finally sitting in the theater…Rogue One is about to start, I got my popcorn, sitting next to supermodels, the Yeti and George Washington. I’ve been waiting forever to see this movie and it’s finally going to happen. Oh boy, the lights just went down. YIPPEE!! This is going to rock! Get ready lightsabers, space battles, and, of course, Darth Freaking Vader!!! 4:30 am- What??? Vader…you’re fading away?? Where’d you go…What’s going on??? 4:30 am- This can’t be happening….this isn’t happening….no….NOOOOOOOOOOOOOOOOOOO!!! 4:30 am- Hit snooze…you know you wanna! Come on, fall back asleep. I bet you’ll go right back into that sweet space operaesque dream…all the cool kids are doing it. 4:30am- Or I could actually man up, go to the gym, deadlift, pull-ups, clean and jerk and 6 mile run…you know? Like we originally planned last night! 4:30am- There’s that option….but just take a second and really feel how warm these blankets are… like a cozy fireplace of happiness. 4:30 am- Before we decided, let’s just see how cold it is outside…I mean you don’t wanna freeze to death trying to get your run on in the dark. 4:30 am- Excellent point, me. 4:30 am- Rolls over and looks at weather app….40 degrees. 4:30 am- Welp there you have it. You are obligated by the weather gods to get up now. This might be the only time in months it’ll be this warm in the morning. 4:30 am- You present a very logical argument but let me present a counterpoint…sleep is awesome. 4:30 am- ROLL YOUR EXCUSE MAKING A$$ OUT OF BED AND DO WHAT YOU SAID YOU WERE GOING TO DO!!!!!!! 4:30 am- Glad to see ole Drill Sergeant Ward has woke up. 4:30 am- Yup…was waiting for him to put in his two cents. 4:30 am- YOU ARE WASTING PRECIOUS TIME ***CLOWN!! WAKE UP!!! OR THERE WILL BE PUNISHMENT!!! 4:30 am- I’ve been waking up this early for literally 3 years now…you think it’d get easier, right? 4:31 am- Roll out of bed and put on my workout clothes…sleepy but proud to have conquered in my daily battle with the inner resistance monologue demon. This happens literally every morning. A chance to practice my “discipline muscle”. Usually I win…not always but most of the time I do. Now if only I could use that discipline muscle to counteract the “must eat ALL of the Christmas cookies my wife makes”. Still working on that one. Happy Holidays! Conquer the resistance and keep pushing forward! “The Endless Winter”. A year spent climbing mountains all over the world. In 1969 when asked if he would like to engage in this adventure, my uncle Joel Bown said “something really profound like ‘sure, why not? 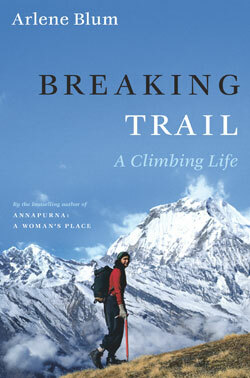 '” Two years of planning later, armed with a tent, a future paradigm-shifting mountaineer Arlene Blum and an “around-the-world” plane ticket, he was off to climb the world. 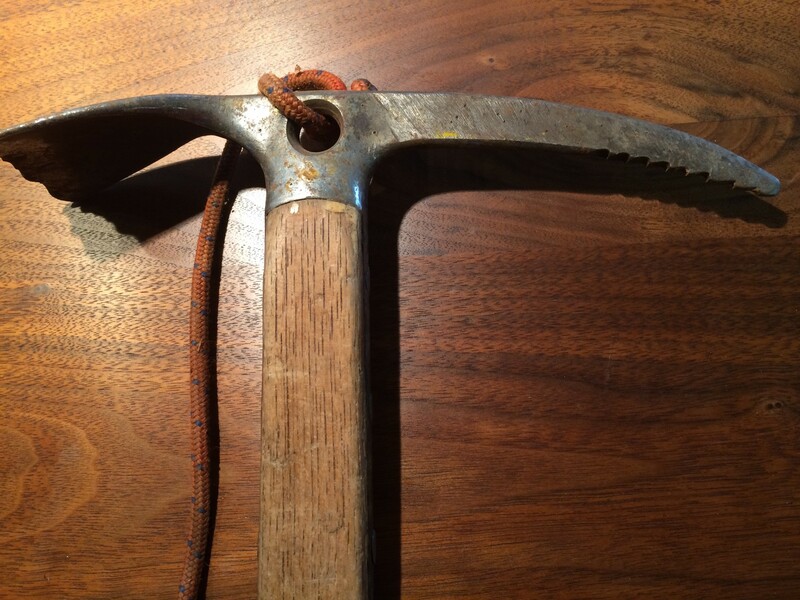 This meant climbing in places like Ethiopia, Uganda, Afghanistan, Iran, and camping out in the wilderness on the other side of the world in order to face some of the tallest mountains on the planet. This is some real life-altering adventures here folks. Really anything else I write can’t possibly do justice to this story. And quite frankly, I’m so excited to share this episode that I do not want to spoil ANYTHING! 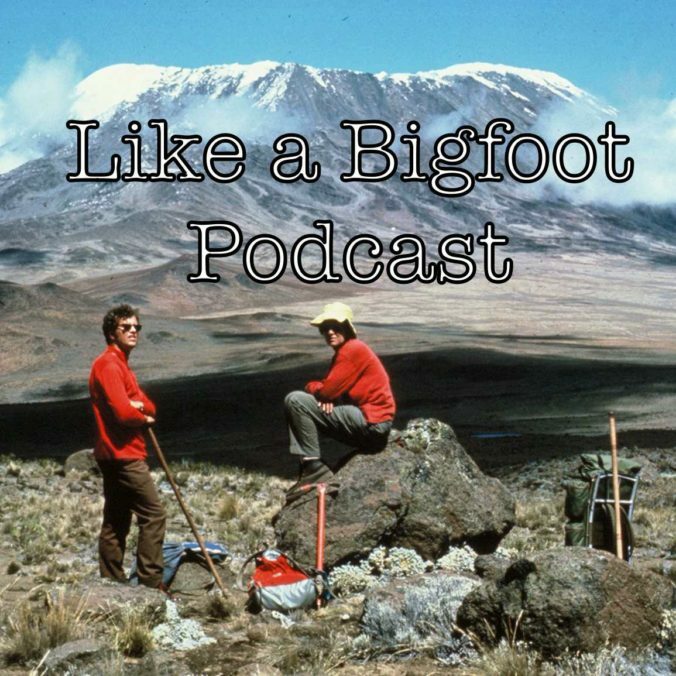 My Uncle Joel has always been a funny, engaging storyteller, but somehow I had never heard this story; the excursion that set him off towards lifelong adventure in the wilderness. Eventually, there will be more episodes with Joel, seeing how he has many stories beyond his globetrotting year of rock climbing. So check back in for those in the future. As always I am extremely grateful that Joel would share his story with us as we continue our quest to ignite adventure in everyone who listens! Last week we discussed futbol, this week we discuss football. More specifically, one man’s love of the sport, how it has changed his life, and why he’s passionate enough to choose college football coaching as a career. Our podcast covers a wide variety of topics this week, including how football shapes personality, creates powerful mindsets through adversity, teaches players to handle failure and ultimately encourages people towards becoming the best version of themselves. Along with many experiences from our high school playing AND coaching days. Shane Dowty went from goofy young middle schooler dreaming of playing for his high school team to college football coach who has worked under some of the biggest names in the sport. How’d he do it? What did he overcome along the way? How does he stay positive in the ultra competitive world of college football coaching? What was it like to be low man on the totem pole? How has his experiences with the sport shaped the way he views football? 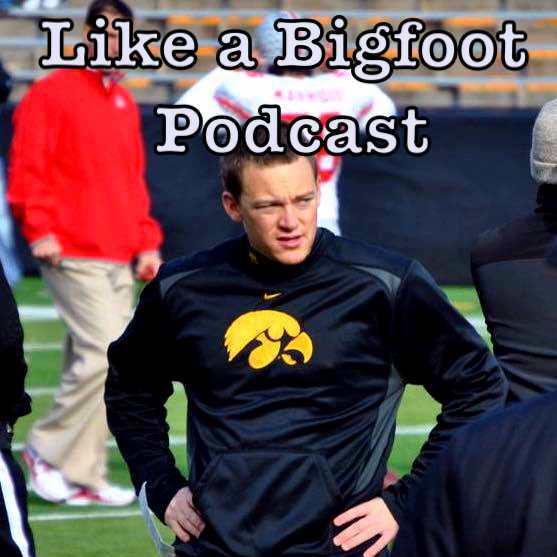 In this episode we barely scratch the surface of Shane’s story, essentially exploring his love of the sport from childhood up to the point he became a student assistant for the University of Iowa Hawkeyes. In the future we will check back in with Shane so he can share the lessons learned from working under the great Kirk Ferentz, the hustle involved in searching for coaching jobs, his experiences as a grad assistant for the Iowa State Cyclones and how he feels after earning a spot as a positions coach for Missouri S & T.
7,000 miles. 8 countries. 4 friends. 1 dream. Document the importance of soccer through the lens of a variety of Latin America. This is American Futbol. A documentary film that was a journey of a lifetime for my friend, and all around great guy, Petar Madjarac. These filmmakers took a pause on life to chase a dream, an idea they had thought up years ago. With an extreme passion for soccer and a yearning for adventure, they left behind perfectly good jobs to travel from southern California through many Latin American countries on a quest to Brazil and the 2014 World Cup. Along the way they captured the spirit of each country through the eyes of soccer. In this episode Petar shares stories and insights from the journey, guidance for all of us pursuing a goal, his thoughts on the soccer culture in the United States, the nitty gritty day to day details in filming a travel documentary, and how following a whim can lead to unexpected opportunities. So thank you so much to Petar Madjarac and the rest of the American Futbol crew for aspiring to chase a dream, inspiring all of us to seek out adventure in our own lives, and for bringing cultures together through the love of sport. 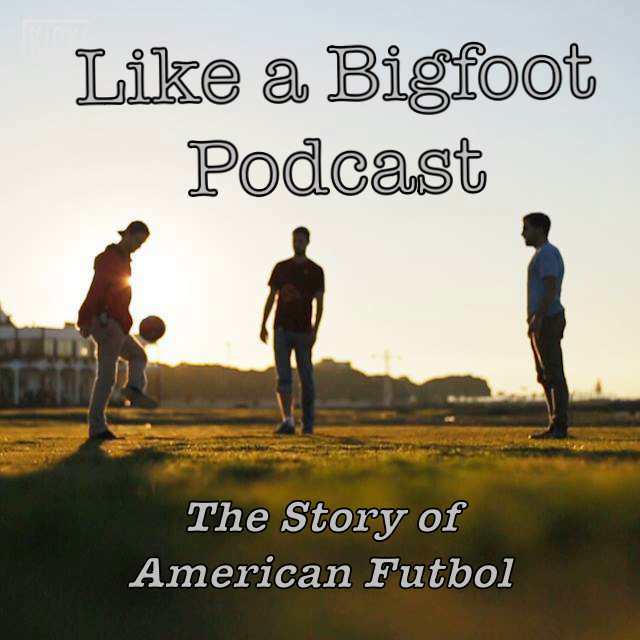 You can check out all of their segments on KICKTV and follow their post-documentary experiences on the American Futbol website and Facebook page. Below are a few fantastic episodes of their series. Be sure to check them all out!! Episode 7: Who will save Fubol in Argentina? Imagine running 200 miles (….hold on, let me say that again, TWO HUNDRED MILES) gaining and losing 35,117 feet of elevation as you circumnavigate one of the most beautiful environments in North America, Lake Tahoe. Now imagine doing that in 90 hours with a total of 5 hours of sleep. Can you picture the crazy hallucinations, foot pain, and severe exhaustion you would be experiencing? How about traveling every painful step alongside your significant other?? How on earth would you endure? 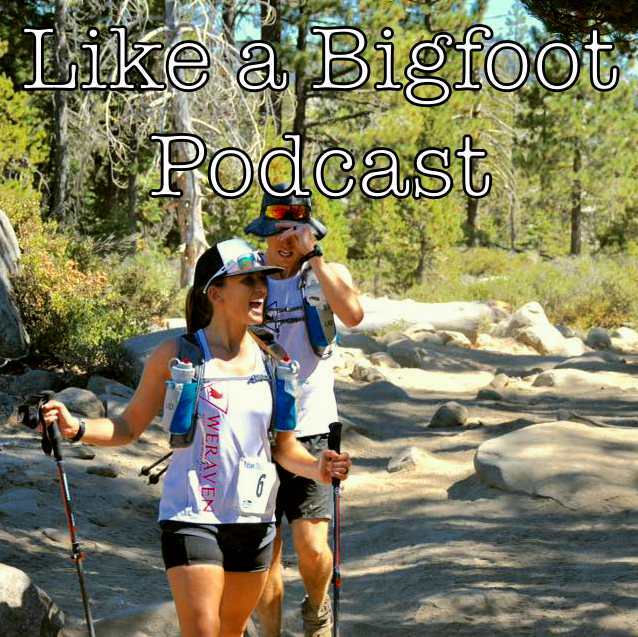 Our guest this week is Melissa Ramba Sinclair and this is the fascinating story of how she and her husband Jon survived the Tahoe 200 ultra marathon last September. For people who think 100 miles is not enough, the Tahoe 200 became the first of a new brand of ultra-races- the 200s. The type of event awaiting a small group of badasses brave enough to step up to its challenge. Seemingly a experiment of iron will to see if humans can overcome seemingly insurmountable obstacles. Completing a 200 appears to be a way to prove, beyond a shadow of a doubt, that you can overcome ANYTHING life throws your way. Melissa’s story is fascinating, intimidating, hilarious, brutal, inspiring, and is guaranteed to open your eyes to what we are capable of achieving if only we are driven, disciplined, and uplifted by the ones we love. Thank you so much Melissa for sharing such a unique experience and inspiring me to look for even greater challenges in the future! Enjoy the show! Please follow Melissa and Jon’s adventures on their blog “Ultra Mel and Jon” and if you’re brave enough to consider 2017’s Tahoe 200 you can find more info HERE. What kind of mental toughness and physicality does it take to break a Guinness World Record? How about choosing one of the most dreaded exercises out there? What drives someone to set a seemingly unfeasible goal and then actually demolish it?? I met Cameron Dorn while climbing the Black Mountains near Asheville, North Carolina in the midst of what was advertised as “the world’s hardest 50k”. To give you an idea how steep this was, the first 5k took about an hour twenty minutes. During the brutally challenging ascent I started chatting with a group of guys to pass the time; Scott, Dane and Cameron. They were all super awesome in their own rights but one especially was an endless supply of energy and positivity. Cameron instantly became the most memorable person I have met during an ultra race. He was happy to let me tag along with him and his buddies as we trudged along the 24,000 feet of elevation gain, entertaining us with endless hilarious stories and motivation along the way. About halfway through his friends casually mentioned that he set the world record for burpees and that this barbaric race (which he was making look like a cake walk) was his first ultra-marathon ever. “This dude is insane in the greatest possible way!” I thought to myself. His unbreakable mindset, endless supply of energy and positive psyche was unforgettable. He’s the type of guy that will make an outrageous claim (like 10,000 burpees in 24 hours) one night and then ACTUALLY put the in the work to make his dreams a reality. 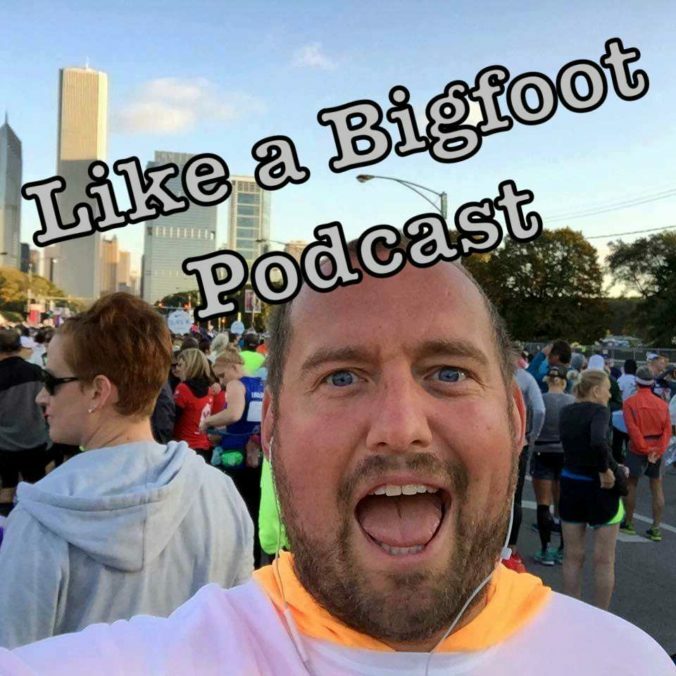 I’m so honored that I was able to catch back up with him and listen to the whole story of the Guinness world record, his philosophy on hard work and accomplishing LOFTY goals, the Transylvania 100k, and so much more! In the honor of Thanksgiving, thousands of thanks to Cameron for sharing his story and to you guys for tuning in and trying to better yourself week after week! What in the world would is it like to run 100 miles?? What about running for 24 hours nonstop? How about running these crazy events and WINNING? 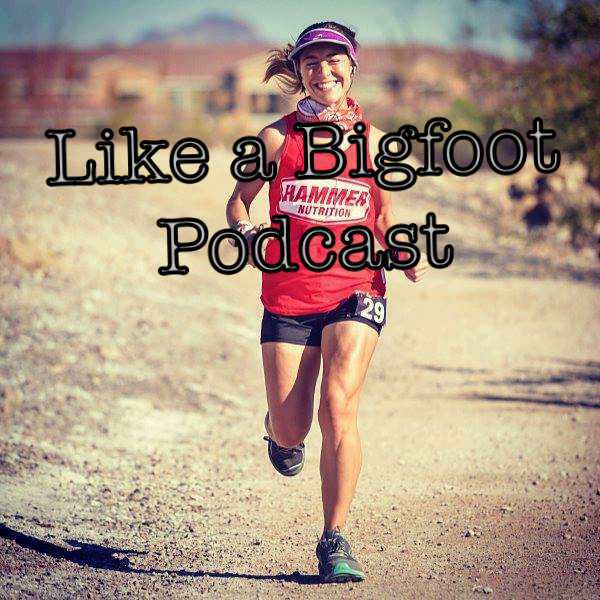 Today’s guest is Hammer Nutrition athlete and all around ultramarathon badass, Natalie Larson. In 2015 she went on a spree of 100 milers, knocking off the distance NINE TIMES through various 100 milers and 24 hour endurance events. She accomplished this feat all across the United States, from California all the way to Vermont, bonding with so many runners in the ultra community. The more she competed the more her body adapted to the miles. She became more athletic and faster with each event, began going out fast and finishing STRONG, and ended up winning quite a few (including a race where she placed first OVERALL beating both the men and women). Outside of her own racing, she has checked off quite a few “ultra bucket list items”: finished the rim to rim to rim through the Grand Canyon, been a pacer at Western States and a crew member at Badwater. 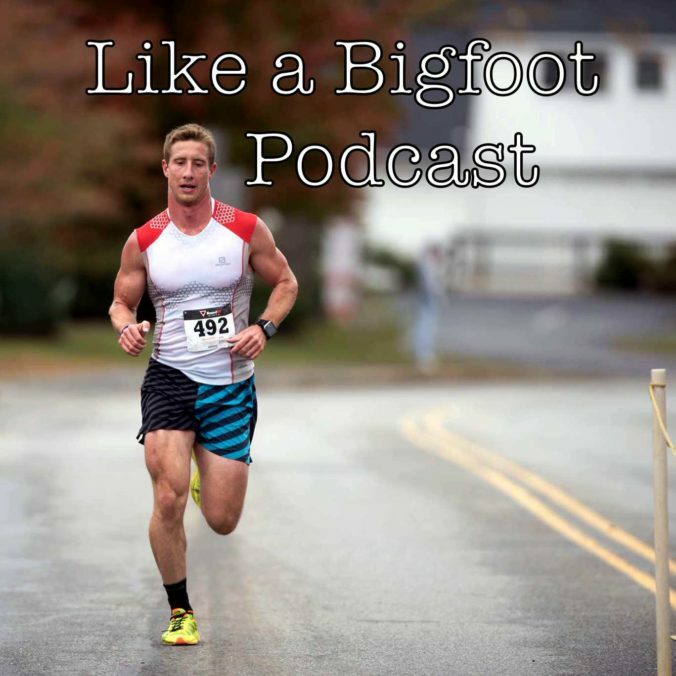 In this episode I wanted to gain a better understanding of the 100 mile distance, pick Natalie’s brain about training, mindset, and mid-race nutrition, and simply geek out about ultrarunning. My hope is that Natalie’s story will open your eyes to the possibilities of human potential and clarify the great benefits of pushing your limits. Thanks for listening every week! 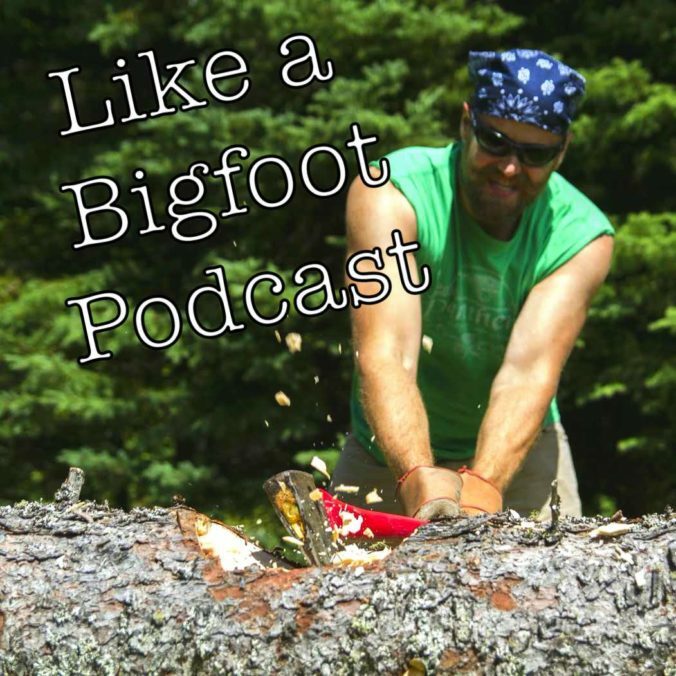 I can’t describe how much fun I am having putting together this podcast! 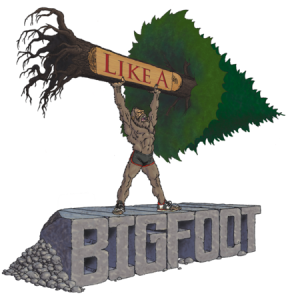 If you have any comments, questions, ideas for guests, or if you want to share your own adventures be sure to join the discussion on Facebook at Like a Bigfoot. Go get outside! Last April Travis Steffen ran his first ultra marathon, the Grayson Highlands 50k. He showed up almost completely unprepared and untrained, he was at the peak of the “weight gaining” phase of a body building cycle which put him about 25 pounds heavier than normal, and he was coming off a couple of rough emotional weeks. But he finished. All 31 miles of mountain pain. Through the rain and mud, past the giant longhorn bulls, up and down steep hills, showing extreme mental toughness as he marched his way to the finish line. Throughout the day, as he limped around, painfully grunting with each tiny movement, you could not wipe the smile off of his face. Why? How did this experience completely change his outlook on himself, his past behaviors, and his previous mentality? That’s what we get into in this episode. And it gets raw. Travis had no problems opening up and sharing the major flaws in his previous mindset (in both his athletic career and in other areas of life) that he has discovered after reading the book “Extreme Ownership” by former Navy SEAL Jocko Willink. WARNING: One thing I love and respect about Travis (among many) is that he is 100% authentic and unashamed to be who he is and talk the way he talks. That being said, there is a fair amount of cursing in this episode…so be aware if you have innocent ears or kids roaming around. Travis might teach you some new vocabulary. Sign up here for the most beautiful race in Virginia- 1/2 marathon or 50k option. Registration starts November 24th and WILL sell out. Check out Runbum’s other races in the Mid-Atlantic. 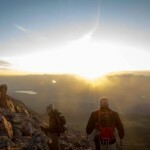 The dude will take you on a tour of some of the prettiest mountain ranges in the south. This week’s episode was absolutely fascinating to me. When I heard that my buddy Brandon Swett went to a 10 day silent meditation retreat, my first response was “He did WHAT? ?” Brandon had never come across to me as the kind of person who would participate in something so outside the box. Over the past two years he has completely challenged his old mindset and is studying meditation on his way to a greater self awareness. The retreat played a huge role in his life. Many people have dabbled into meditation, me included, but very few have experienced the intensity of a 10 day silent retreat. And damn did it sound intense! 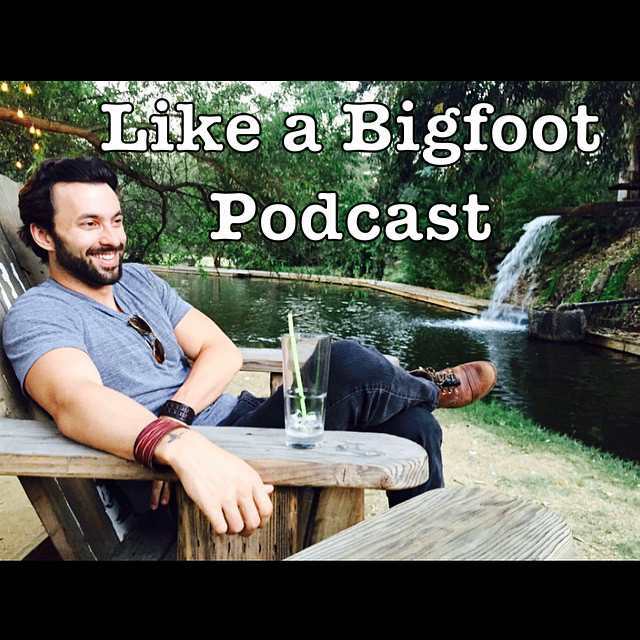 I was curious to hear all about the power of Brandon’s adventure, the physical, emotional, and mental journey completely eliminating distractions for 10 days took him on, and the life lessons he has welcomed into his life. I’m so happy Brandon was willing to open up, share and really get raw about the ups and downs he has experienced. This one goes deep. In fact, this is probably the deepest conversation Brandon and I have ever had; one of the many reasons I am enjoying doing this podcast every week.